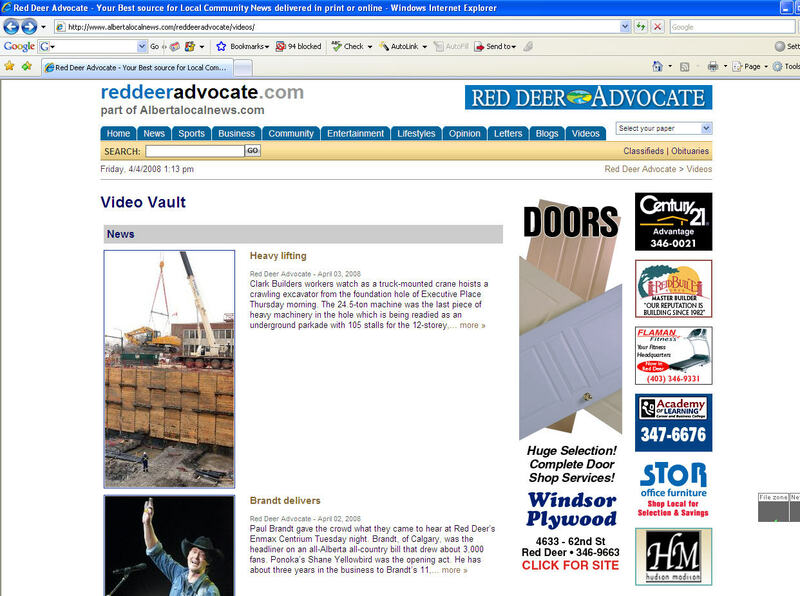 The local daily – Red Deer Advocate – has a new online version www.reddeeradvocate.com. They’ve done more than just post their news and ads on the web (that was the older version). For instance they now have videos of their news stories. The same award winning photographers from the Advocate who bring us great still photos are now doing videos.